As I came though the garage after my run this morning, this caught my eye. 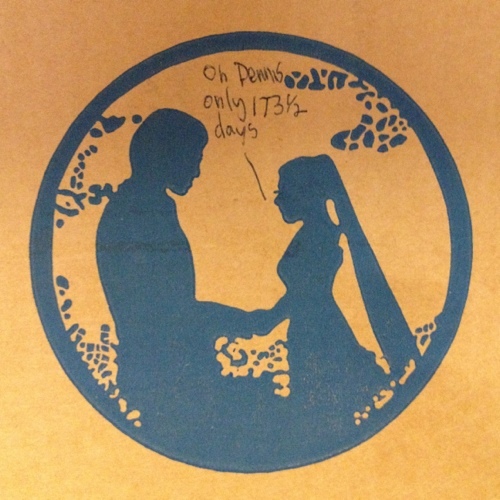 It’s the side of an old box that our wedding invitations came in from the printer. Some friends from church owned the print shop we used and wrote that on the box…ah, memories!